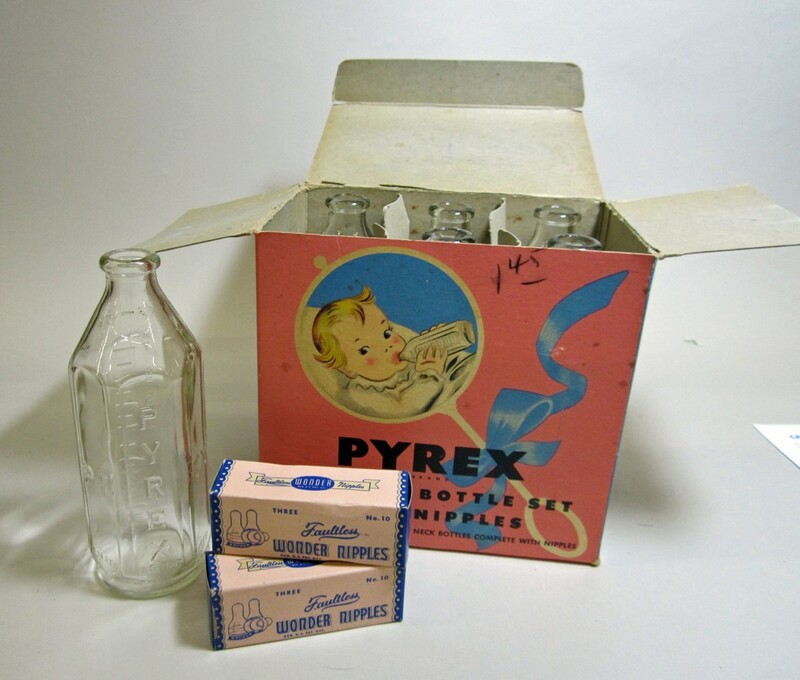 New products like baby bottles, teapots, and measuring cups were added to the Pyrex lines, as well as a set of junior Pyrex dishes, “The Pyrexette” for children. 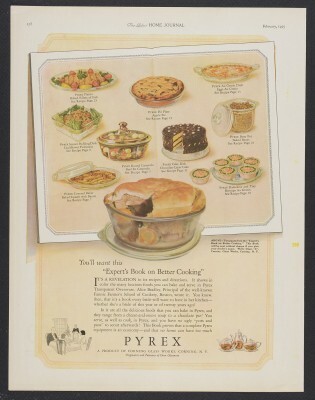 In 1920, Pyrex ovenware was a major product line for Corning Glass Works, pulling in about a quarter of the company’s total profits. As the decade rolled on, however, sales began to fall off. 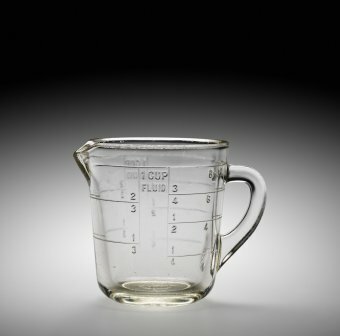 Americans saw Pyrex as a luxury product, too expensive to purchase for common use, and customers were confused by the many different sizes and shapes Corning was selling. Realizing Pyrex needed a jumpstart, the company developed a new marketing strategy, based on recommendations from outside experts. They cut 10 products from the line and focused ads on the five most popular dishes. They also moved away from extolling the scientific wonders of Pyrex and instead focused on what consumers wanted in a dish—easy to clean, versatile, energy efficient, and beautiful. But the company knew these strategies were not enough. Corning also had to drop prices, and that would require a manufacturing solution. They put more research into developing a fully automated production line. As the end of the decade approached Corning was still a few years from fully automated production, and continued to look to customers for feedback on improving the Pyrex line of products. 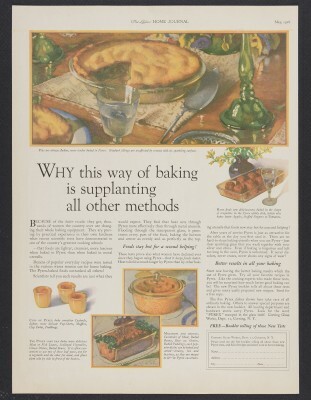 In 1929, the company hired Lucy Maltby, a professor of home economics and a Corning native, to manage consumer services and delve into the mysteries of consumer needs and tastes. And, as it turns out, Maltby’s influence was to be more powerful and lasting than anyone could have predicted. 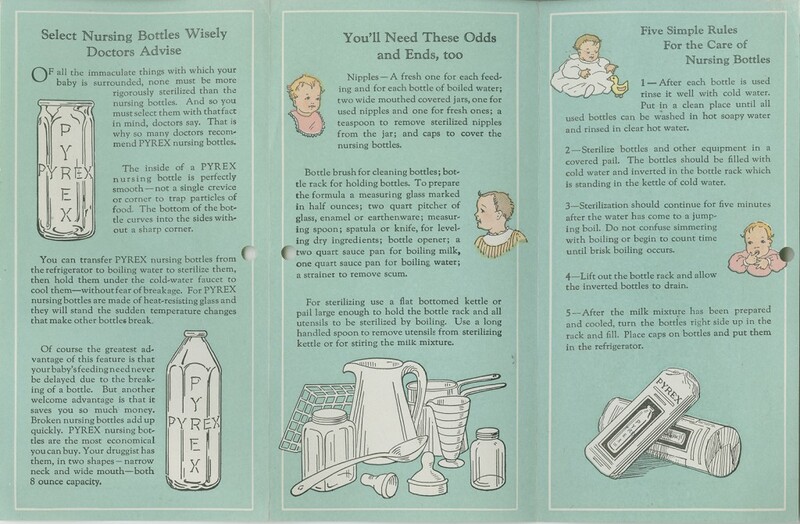 Interested in learning more about Pyrex? Visit pyrex.cmog.org and check out our exhibit, America’s Favorite Dish: Celebrating a Century of Pyrex, on view at The Corning Museum of Glass June 6, 2015 through March 17, 2016.